Series RT - 3/8� I.D. 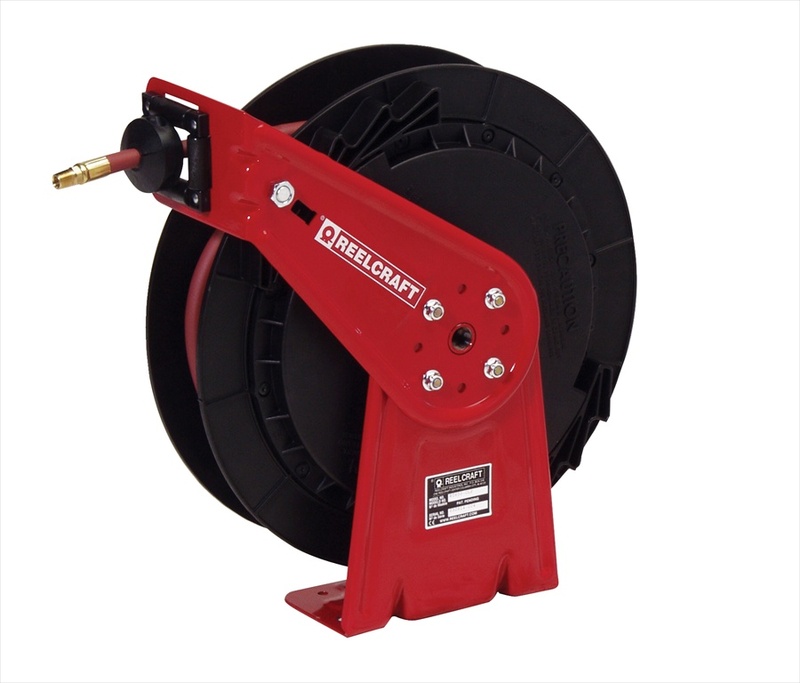 Reelcraft Series RT ReelTek Spring Driven Hose Reel - Complete with 3/8" x 35' PVC hose, this OLP reel is for low-pressure (300 PSI) applications, suitable for air and water. ReelTek Reels are a new, lighter spring-driven hose reel designed for applications that are less demanding, yet require a product that can withstand industrial use. Series RT Reels feature heavy-gauge steel stampings, an industrial-grade drive spring, a mounted latch mechanism to eliminate latch-out, a stainless steel latch spring, a field-proven swivel, individually powder-coated steel components that eliminate corrosion, and a versatile guide arm, adjustable to seven convenient locations. Hose and bumper included.